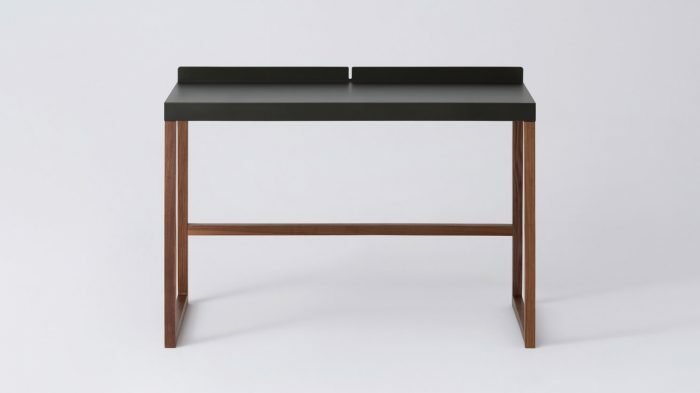 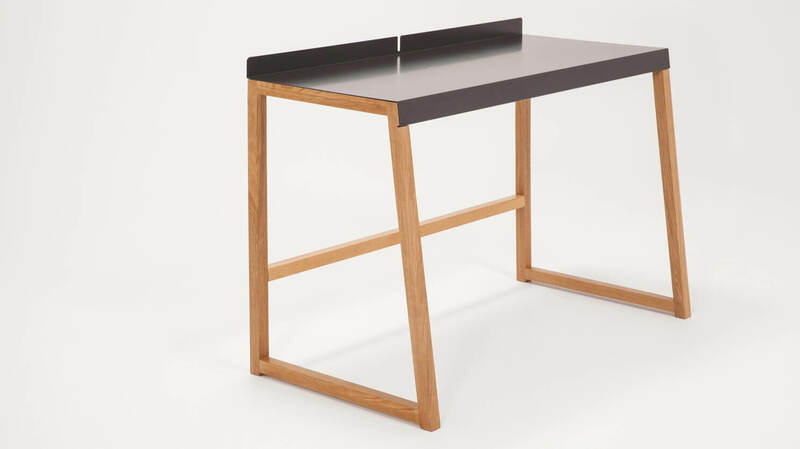 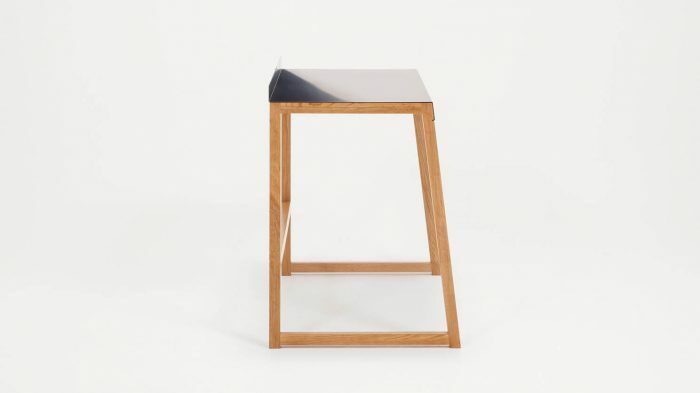 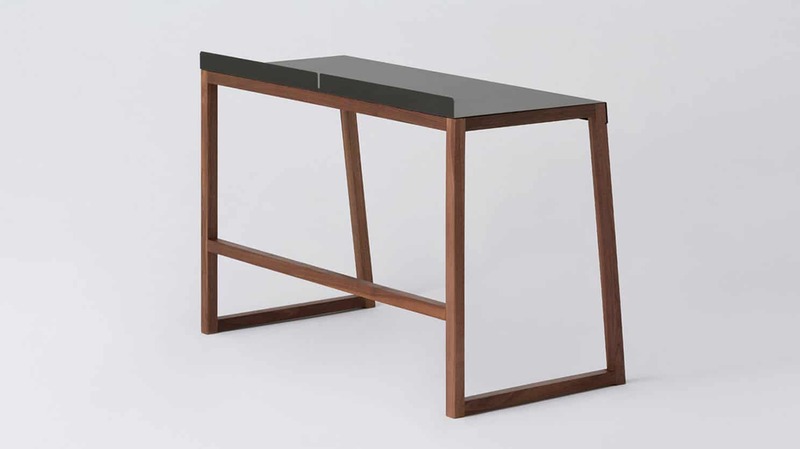 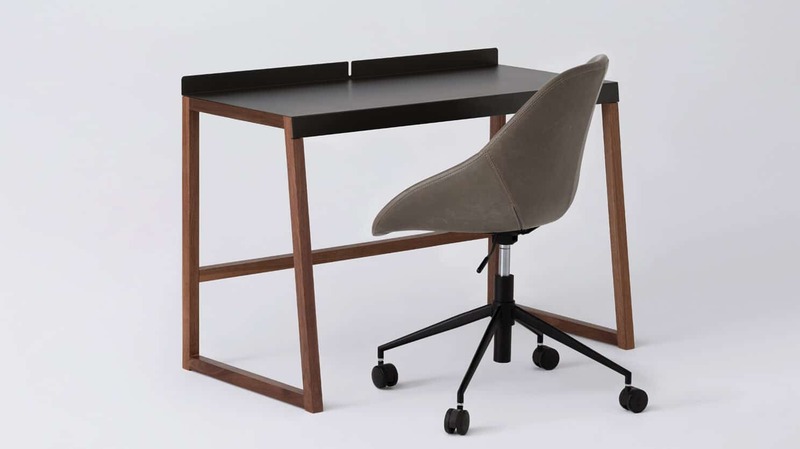 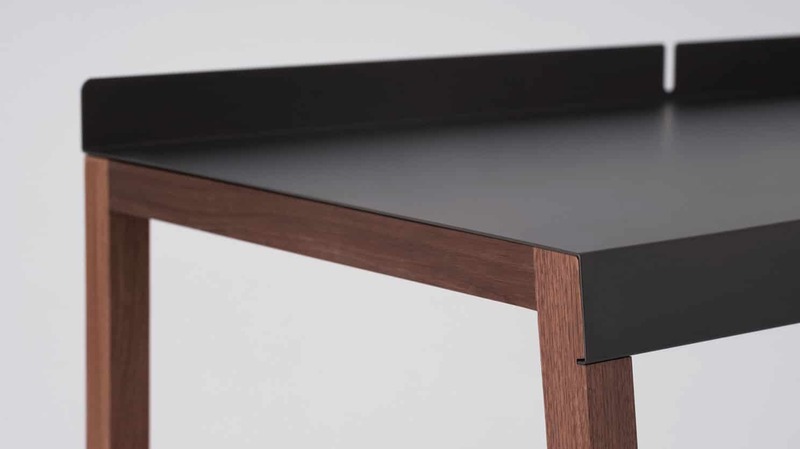 Now available in a charcoal finish, the Trivia Desk features solid oak or walnut legs and a powder-coated metal top. 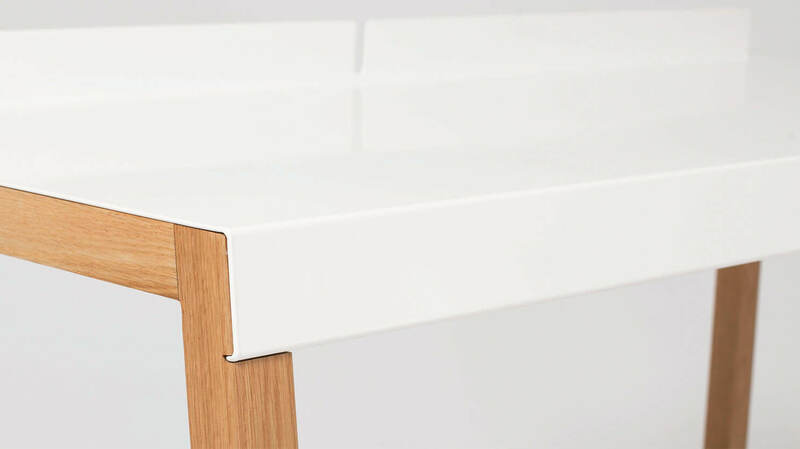 Keep cords tidy with its built-in slot. 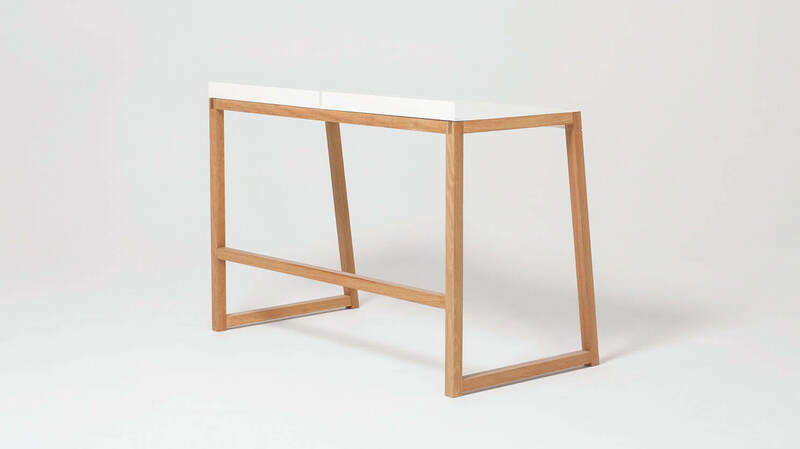 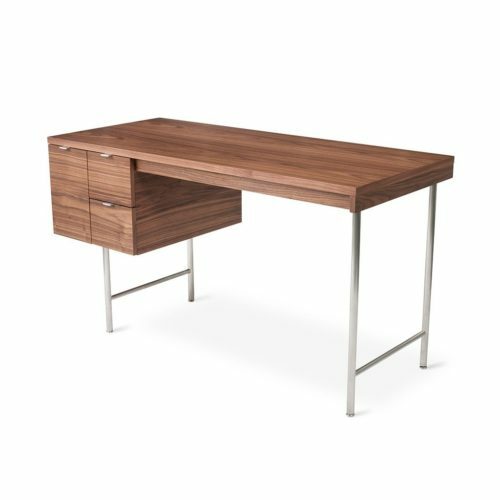 Available with solid oak or walnut legs and folded metal sheet tops. Oak is finished with nitrocellulose finishing material and is finished with a low-sheen clear coat to showcase the natural beauty of the solid oak legs. 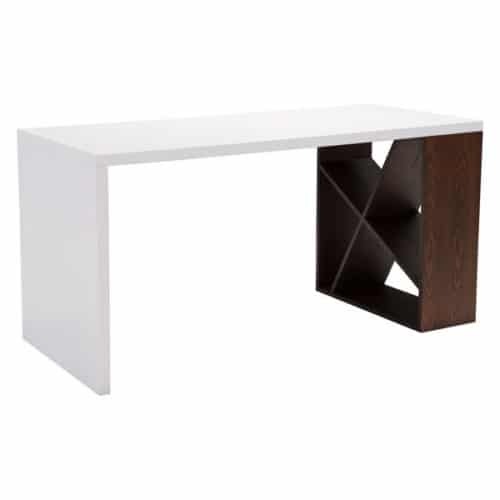 Desk features cord management slot that is perfect for tidying up the work surface. 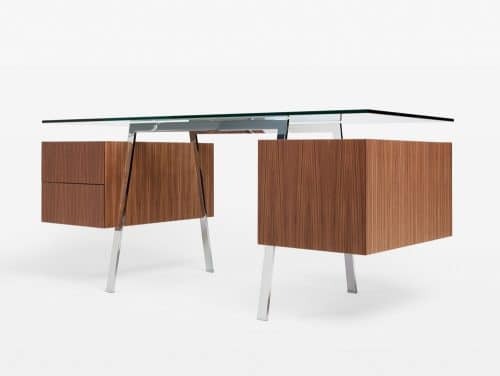 Desk can withstand 250 lbs.